April 22, 2019. Tags: Capitalism, Economics, Politics, Socialism. Economics. Leave a comment. April 20, 2019. 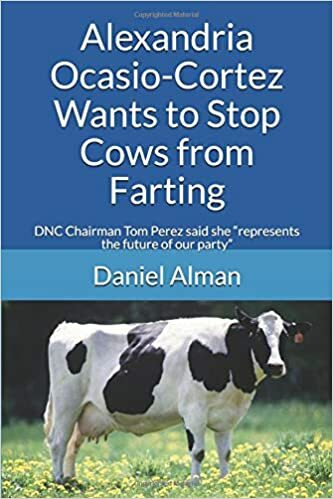 Tags: Alexandria Ocasio-Cortez, Climate change, Environmentalism, Global warming, Green New Deal, Politics. Alexandria Ocasio-Cortez, Environmentalism. Leave a comment. U.S. Congressional representative Katie Porter (D-California) recently talked about “Patricia,” one of her “constituents” who lives in Irvine, California. Since Porter said she looked up the salary of Patricia’s job at monster.com, I am guessing that “Patricia” is fictional. Nevertheless, I will go along with this, and offer my comments and analysis. Patricia works as a bank teller at JPMorgan Chase, and earns $16.50 per hour, which works out to $35,070 per year. Patricia has a six-year old daughter, and the two of them live together in a one-bedroom apartment in Irvine, California. After taxes, Patricia takes home $29,100 per year, which is $2,425 per month. This leaves Patricia with a monthly budget deficit of $567. Porter blames this budget deficit on JPMorgan Chase. Now I’d like to offer my own commentary and opinion on this, in three different categories. First of all, Porter makes no mention whatsoever of Patricia’s child’s father. If Patricia was actually married, then her husband could work from home and take care of their child after school, and there would be no need to spend $450 per month on after school child care. Also, her husband’s income from working at home would make it easier to pay for their other expenses. This refusal by Porter to even so much as mention Patricia’s child’s father is typical of liberals when they talk about single mothers who are struggling to raise their children. I have previously written about liberals’ refusal to mention the fathers of these children here, here, here, here, and here. Secondly, Porter never mentions how density restrictions and other anti-development laws cause the price of housing in California to be substantially higher than it would otherwise be. But I will mention it. Here is a link to an article that was published by the Atlantic in 2007. When a developer builds housing, there are three separate and distinct costs: the cost of land, the cost of construction, and the cost of getting a building permit (which the article refers to as the “right to build”). Irvine is in the Los Angeles metropolitan area. According to the Atlantic article, using data from 1999, getting permission for the “right to build” added $303,000 to the cost of a house in Los Angeles in 1999. In a 2003 article, Glaeser and Gyourko calculated the two different land values for 26 cities (using data from 1999). They found wide disparities. In Los Angeles, an extra quarter acre cost about $28,000 – the pure price of land. But the cost of empty land isn’t the whole story, or even most of it. A quarter- acre lot minus the cost of the house came out to about $331,000—nearly 12 times as much as the extra quarter acre. The difference between the first and second prices, around $303,000, was what L.A. home buyers paid for local land-use controls in bureaucratic delays, density restrictions, fees, political contributions. That’s the cost of the right to build. And please remember, this cost for the “right to build” is completely separate from the cost of the land, and the cost of construction. The cost for the “right to build” is determined entirely, 100% by zoning laws, density restrictions, and other local government policies. … there were more permits for single-family homes issued last year through November in just one Texas city  Houston (34,566)  than in the entire state of California (34,035) over the same period. Houston is 628 square miles. California is 163,696 square miles. So even though California is 260 times as big as Houston, Houston actually issued more new building permits for single family homes in 2014 than did the entire state of California. Those numbers show just how incredibly, ridiculously hard California makes it to build new housing. Anyone who has ever bought or sold anything at eBay understands that, all else being equal, the bigger the supply of something, the lower price, and the lower the supply, the higher the price. By making it so difficult to get a building permit in California, the government is causing housing to be far, far more expensive than it would otherwise be. Here is a great article by Thomas Sowell about how the politicians in California have waged war against the construction of new housing. California is waging a very strong, major war against the constriction of new housing. But Porter never mentions any of this. Third, being a bank teller is an entry level job. It doesn’t require any education beyond high school. If Patricia wanted to earn more money, she could have gone to college or trade school before having a child. But Porter never mentions this, either. April 15, 2019. Tags: affordable housing, cost of living, Economics, Income inequality, Katie Porter, Out of wedlock births, Politics, Poverty, wealth inequality. Economics. 1 comment. April 14, 2019. Tags: Illegal immigration, Immigration, Politics. Immigration. Leave a comment. On March 21, 2010, U.S Congressional Representative Maxine Waters (D – California) voted for the Health Care and Education Reconciliation Act of 2010. The bill was signed into law by President Obama on March 30, 2010. This new law transferred the responsibility for overseeing student loans from private banks to the U.S. government. In other words, it’s what we call socialism. Since the passage of this bill, student loan debt has skyrocketed. Many borrowers who chose to major in worthless subjects and ended up working at Starbucks have demanded that their debt be forgiven. Despite the fact that Rep. Waters voted to nationalize student loans in 2010, in 2019 she blamed private banks for the student debt crisis. Maxine Waters’ comments in the above video are proof that when you support socialism, you never have to take responsibility for your actions. April 12, 2019. Tags: Barack Obama, Maxine Waters, Obama, Politics, Socialism. Barack Obama. 1 comment. Alexandria Ocasio-Cortez recently blamed banks for the fact that Barack Obama forced them to give mortgages to people who were unable to pay them back. When Obama was working as a “community organizer,” he filed lawsuits which forced banks to give mortgages to people with bad credit and low incomes. As a result, many of these people ended up defaulting on their mortgages. As their attorney, Obama collected $23,000 in legal fees for himself. But Ocasio-Cortez didn’t blame Obama for the fact that Obama forced these banks to give mortgages to people who were unable to pay them back. Instead, she blamed the banks for the fact that Obama forced the banks to give mortgages to people who were unable to pay them back. April 12, 2019. Tags: Alexandria Ocasio-Cortez, Barack Obama, Obama, Politics. Alexandria Ocasio-Cortez, Barack Obama. Leave a comment. I want to start out by saying that I think it’s absolutely wonderful that Bernie Sanders became a millionaire by selling books to customers who wanted to buy them. I have no problem with the fact that Sanders is a millionaire. What I do have a problem with is his hypocrisy. I agree 100% with Sanders’ statement. If I can just add three more zeros to my own book sales figures, I, too, will become a millionaire. Sanders’ association of the existence of “millionaires and billionaires” to the fact that there are children living in poverty is not accurate. According to the book The Millionaire Next Door, 80% of U.S. millionaires are first generation rich. They earned that money legally and honestly, by providing labor, goods, and services that people were willing to pay for. That makes everyone better off. It does not cause anyone to live in poverty. The real reason there are so many children living in poverty in the U.S. has nothing to do with the fact that there are “millionaires and billionaires.” Instead, the high rate of childhood poverty can be attributed almost entirely to the irresponsible behavior of their parents. According to that chart, since 1960, the percentage of babies born out-of-wedlock in the U.S. has skyrocketed from 5% to 40%. In the 1960s, the Democrats launched their “War on Poverty,” whereby the government started paying women to have babies out-of-wedlock. And as anyone who understands economics will tell you, whatever you subsidize, you get more of. The liberals who complain about childhood poverty almost never blame it on the high out-of-wedlock birth rate. Time and time and time and time again, the media publishes articles about childhood poverty, without even mentioning the fathers of these children. April 10, 2019. Tags: Bernie Sanders, Economics, Income inequality, millionaires and billionaires, Out of wedlock births, Politics, Poverty, war on poverty, wealth inequality. Economics. 1 comment. There is a tradeoff between time and money. When something is “free,” it often comes with the “cost” of having to wait in line. Mick Jagger knew that he could either get “free” heart surgery in the U.K. (where he is a citizen), at the cost of having to wait on a waiting list, or, he could get the surgery immediately by paying out of his own pocket to have his surgery in the U.S.
And he’s not the only one to understand this tradeoff between time and money. Many liberals in the U.S. want the U.S. to adopt the same kind of universal health care that exists in Canada and the U.K. So here’s my question to those liberals: If the U.S. does adopt such a system, then where are the celebrities and politicians from other countries going to go when they need life saving health care? April 7, 2019. Tags: Health care, Mick Jagger, Politics, Universal health care. Health care. Leave a comment. March 29, 2019. Tags: Alexandria Ocasio-Cortez, Climate change, Environmentalism, Global warming, Green New Deal, Mike Lee, Politics. Alexandria Ocasio-Cortez, Environmentalism. Leave a comment. Bernie Sanders advocated for the nationalization of most major industries, including energy companies, factories, and banks, when he was a leading member of a self-described “radical political party” in the 1970s, a CNN KFile review of his record reveals. Sanders’ past views shed light on a formative period of his political career that could become relevant as he advances in the 2020 Democratic primary. Many of the positions he held at the time are more extreme compared to the more tempered democratic socialism the Vermont senator espouses today and could provide fodder for moderate Democrats and Republicans looking to cast the Democratic presidential candidate and his beliefs as a fringe form of socialism that would be harmful to the country. Aspects of Sanders’ plans and time in the Liberty Union have been reported before, but the material taken together, including hundreds of newly digitalized newspapers and files from the Liberty Union Party archived at the University of Vermont, paint a fuller portrait of Sanders’ views on state and public-controlled industry at the time. After moving to Vermont in 1968 several years after graduating college, Sanders became an active member of the left-wing Liberty Union Party. Under the Liberty Union banner, Sanders, then in his early 30s, ran for governor of Vermont in 1972 and 1976 and as a candidate for US Senate in 1972 and 1974. Sanders, also served as chairman of the party from 1973-1975. During this time, Sanders and Liberty Union argued for nationalization of the energy industry, public ownership of banks, telephone, electric, and drug companies and of the major means of production such as factories and capital, as well as other proposals such as a 100% income tax on the highest income earners in America. Sanders also rejected political violence and criticized the anti-democratic nature of communist states such as the Soviet Union. “I favor the public ownership of utilities, banks and major industries,” Sanders said in one interview with the Burlington Free Press in 1976. In his career as a US Senator, Sanders has backed away from such ardent calls for nationalization, but maintained similar rhetoric on wealth inequality. In one 2015 speech, he said he didn’t want the government to take over private business or “own the means of production.” But his early views are notable because they are far to the left of the current Democratic party and most candidates running for office. Sanders left the Liberty Union Party in 1977, over what he said was the party’s lack of activity between elections. Sanders said in his farewell that workers would need to take control for the country to be sustained. In 1973, during his time as chairman of the Liberty Union Party, Sanders took to a Vermont paper to oppose Richard Nixon’s energy policy and oil industry profits, calling for the entire energy industry to be nationalized. Consumers at the time had been facing steep price increases and heavy shortages as a result of the OPEC oil embargo. Efforts to push for public ownership of Vermont’s utilities like telephone and electric companies played prominently in Sanders’ political career in the 1970s. Sanders ran for Senate in a January 1972 in the special election and governor in that year’s November election, registering in the low single digits in both races. When he launched his first campaign for the Senate in 1971, Sanders said state utilities needed to be run by the state of Vermont on a nonprofit basis and that if revenues exceed expenditures they could be used to fund government programs and lower property taxes. In 1976, Sanders went even further: calling for the state to seize ownership of Vermont’s private electric companies without compensation to investors. He defended his proposals routinely by pointing out that municipally owned utilities, not uncommon throughout the country, often had lower consumer prices. Utilities like the Green Mountain Power company and the New England Telephone company had been steadily pushing, successful and unsuccessful at times, for approval from state regulators for rate increases. Sanders was particularly incensed by a proposed 27% rate hike by the New England Telephone company, and it became a rallying cry for his political campaigns. In 1973, as chairman of the Liberty Union Party, Sanders had organized boycotts to stop proposed rate increases from New England Telephone company. Sanders’ efforts through the “The Vermont Telephone Boycott Committee” — a committee he coordinated that year — proved successful in blocking NET rate increases. Newspapers commended Sanders for efforts when the rate increases were blocked by the state’s utility regulators. Sanders would declare for the Senate again the following June in 1974 and for governor in 1976, and Vermont’s utilities would remain a major focus point of his campaigns and Liberty Union Party. Sanders’ rhetoric was strongest during his 1976 campaign for governor of Vermont, his last before he left the Liberty Union Party. In a press release on his policy positions, Sanders campaigned on the public ownership of the state’s electric companies, without compensating the banks and stockholders. Sanders argued utility companies engaged in “economic blackmail,” saying the state gave the companies the right to charge “outrageous” rates for utilities or have consumers suffer from poor service. Sanders’ comments went beyond the Liberty Union’s proposal for public takeover of state utilities, which said investors and bondholders with more than 100 shares would have to convert their holding to non-voting stock and income bonds which carry no fixed claim to dividends or interest payments. Sanders’ policy proposals that year also included an ambitious plan to deal with companies attempting to leave towns. “We have got to begin to deal with the fact that corporations do not have the god-given right to disrupt the lives of their workers or the economic foundation of their towns simply because they wish to move elsewhere to earn a higher rate of profit,” Sanders said in a press release in August 1976. Sanders’ plan would require large businesses attempting to leave cities to get permission from the towns and the workers in them. If the company did not get that approval they would be required by law to pay a guaranteed two years of severance for workers and 10 years of taxes for the town. “In the long run, the problem of the fleeing corporations must be dealt with on the national level by legislation which will bring about the public ownership of the major means of production and their conversion into worker-controlled enterprises,” he said. Public control of the economy would become the key issue in his race. Speaking at one forum, Sanders called for workers to control of capital, factories, banks and corporations. In an interview with the Burlington Free Press, Sanders argued the richest two or three percent should not control capital. “I believe in socialized medicine, public ownership of the drug companies and placing doctors on salaries. The idea that millionaires can make money by selling poor people drugs that they desperately need for highly inflated prices disgusts me,” he said. Heavy taxation of wealthy people played prominently into Sanders’ plans to pay for expanding government services. In February 1976, Liberty Union put out a state tax proposal calling for a radical revamping of the system, including the removal of all taxes of sales, beverages, cigarettes, polls, and the use of telephones, railroads or electric energy. Tax rates for those earning more than $100,00 would be 33.47%, $50,000-$99,999 would be 19%, $25,000-$49,000 would be 13.56%, and $10,000-$14,999 would be 4%. Anyone earning less than $10,000 would pay no state income tax. But Sanders’ rhetoric at times went much further. During his 1974 Senate run, Sanders said one plan to expand government included making it illegal to gain more wealth than person could spend in a lifetime and have a 100% tax on incomes above this level. (Sanders defined this as $1 million dollars annually). “Nobody should earn more than a million dollars,” Sanders said. March 16, 2019. Tags: Bernie Sanders, Communism, Marxism, Politics, Socialism. Communism. Leave a comment. On February 24, 2019, Alexandria Ocasio-Cortez posted a live video on her Instagram account where she was talking about different political issues while peeling and cutting sweet potatoes. A guy named Gob Abierto posted several different excerpts from that video in a string of tweets at this link, which has since been deleted. I watched a bunch of those excerpts before the tweet string was deleted. The internet archive has a copy of the same tweet string at this link, but it doesn’t include the videos. One thing that I remember from watching the excerpts is that Ocasio-Cortez tosses her plastic grocery bags and her sweet potato peelings into the same garbage can, which means that she didn’t recycle the plastic bags, and she didn’t compost the sweet potato peelings. She also complained that they give her 10 plastic bags every time she goes to the grocery store. But no one forced Ocasio-Cortez to accept those plastic bags at the grocery store. Millions of other Americas use reusable grocery bags that are made of materials other than plastic. I’d be curios to hear Ocasio-Cortez explain why – if she hates plastic bags so much that she “wishes they didn’t exist” – she brings home 10 additional plastic bags every time she goes to the grocery store, instead of using the reusable, non-plastic bags that millions of other Americans use. I think it’s incredibly hilarious and extremely hypocritical that someone who wants to hugely inconvenience everyone else by having the government embark on endeavors as gargantuan as banning fossil fuels, banning nuclear power, getting rid or airplanes, stopping cows from farting, and retrofitting every building in the country, is herself too lazy to do something as small and easy as buying reusable non-plastic bags, or to recycle the plastic bags that she does use. For the record, I myself happen to believe that government mandated recycling of post-consumer garbage actually wastes more resources than it saves. My evidence for this belief is this New York Times article, which is called “Recycling Is Garbage.” It’s a great article, and I recommend that everyone read it. March 9, 2019. Tags: Alexandria Ocasio-Cortez, Climate change, Environmentalism, Global warming, Green New Deal, plastic bags, Politics, Recycling. Alexandria Ocasio-Cortez, Environmentalism. 2 comments. Asra Nomani, a journalist and leader in the Muslim Reform Movement, documented her attempt to enter Rep. Tlaib’s office along with others and how she was physically blocked from entering. In the video, Sarsour is accompanied by Nihad Awad, the executive director of the Council on American Islamic Relations (CAIR), an Islamist outfit that was founded by members of the Muslim Brotherhood to support the Palestinian terrorist group Hamas. Awad, who has previously announced his support for Hamas, was accompanied in the video by at least one other senior CAIR official who is an avowed Hamas supporter. Sarsour, speaking Arabic, then orders people in her entourage to block Nomani from entering Rep. Tlaib’s office. Tlaib is very cozy with the Islamist organization. She is a regular at CAIR fundraising events across the country. That same day, Sarsour was pictured in front of anti-Semitic Democratic Rep. Ilhan Omar’s office. In the photo, taken by the radical-left, anti-Israel Jewish Voice for Peace group, she is flanked by the Hamas-supporting CAIR officials, Jinan Shbat and Nihad Awad. March 8, 2019. Tags: CAIR, Council on American Islamic Relations, Islamization, Jinan Shbat, Linda Sarsour, Nihad Awad, Politics, Rashida Tlaib. Islamization. Leave a comment.